In the late 1950s, a young Iraqi fugitive showed up at a furniture gallery on Salhieh Street in Damascus, right behind the historic Syrian Parliament. His name was Tarek Aziz, a member of the underground Iraqi Baath Party, temporarily residing in Damascus. He was “wanted” back home in Iraq—along with his Baath comrades—for the attempted assassination of then-President Abdul Karim Kassem. This was during Syria’s short-lived union with Egypt. Gamal Abdul Nasser welcomed both Tarek Aziz and Saddam Hussein to his Syrian fiefdom, but kept 24-tabs on both men. He didn’t hesitate to harass or arrest them whenever the two guests became too much of a headache for the Egyptian President, although both continued to have nothing but genuine respect for Nasser. Tarek Aziz was tipped off that members of Nasser’s hated mukhabarat were on his tail and about to arrest him. The furniture gallery was owned by my grandfather. We managed to rush him out of the gallery backdoor, seconds before Nasser’s men broke in through the main entrance. This was my family’s small contribution to Iraqi history: we saved Tarek Aziz from jail. We were not there, however, to do it again in 1966, when Syrian authorities clamped him in chains at the infamous Palmyra Prison in the Syrian Desert. He was accused of criticizing then-Baath Party strongman of Damascus, Salah Jadid. 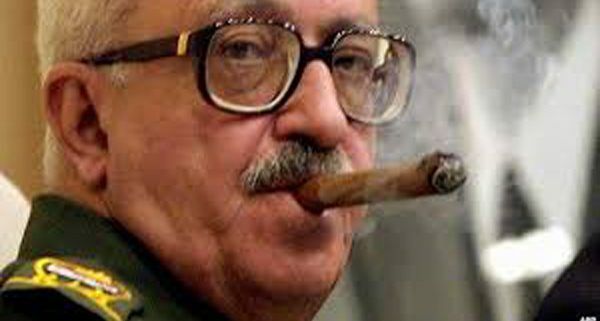 His criticism of Jadid had appeared on the pages of al-Thawra newspaper, the party organ edited by Aziz himself. Aziz spent quality time at Palmyra—a French barrack-turned prison that was ironically blown up just last week by militants from the Islamic State of Iraq and the Levant (ISIL). This is where Aziz met and befriended a wide array of Syrian politicians like Mansour al-Atrash, chairman of the Baath Party Revolutionary Command (RCC), Rushdi al-Kikhiya the seasoned founder of the outlawed People’s Party, and Abdul Qader Qaddura, a future Baathist Parliament Speaker. Upon his release Aziz did not return to Damascus again until October 1978, when he came carrying an invitation from President Ahmad Hasan al-Bakr to President Hafez al-Assad to attend the upcoming Arab Summit in Baghdad. 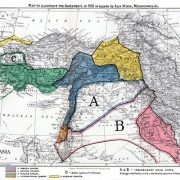 At the time, Syria and Iraq were setting aside their differences to create a united team—known as the Steadfastness Front—to stand up to Egyptian President Anwar al-Sadat’s separate peace with Israel. 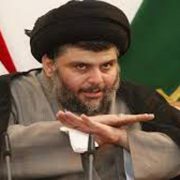 In the mid-1980s, when serving as Foreign Minister of Iraq, he took part in secret negotiations with the Syrians, aimed at talking Damascus into breaking with its Tehran allies during the Iran-Iraq War. We grew up in Damascus hearing nothing nasty about Tarek Aziz, although Saddam Hussein was ridiculed by Syrian state-run media. Aziz got along well with the Syrians, who seemed to have genuine respect for him. He personally had tremendous affection—often to the degree of obsession—with the cobbled old alleys of Damascus and always considered the city a personal sanctuary and second home. Despite the official position on Saddam’s occupation of Kuwait, Syrian TV broadcasted Tarek Aziz’s press conference live on 9 January 1991. He stood side-by-side with US Secretary of State James Baker in Geneva, aggressively defending his country’s claims to Kuwait. “Kuwait is Iraqi” he said firmly, “all Iraqi leaders have laid claim to it since (King) Faisal I.” When a Swiss journalist asked him whether Iraq would respond if a war started, Aziz snapped, “Yes, absolutely yes!” And true to his word, Iraq did respond, firing 88 Scud missiles in the seven weeks of war; 47 of them landed on Saudi Arabia, one in Bahrain, and another in Qatar. The rest famously rained on Israel, killing a total of 74 people. After 1991, Saudi media began referring to Tarek Aziz as “Tarek Youhanna Aziz,” to remind Muslims that this man was a Christian “infidel.” His real name after all was Mikhael Youhanna, but he had gone by the neutral Arabic name of Tarek Aziz since the 1950s. Hating Tarek Aziz was one thing that both Saudi Arabia and Iran had in common, although the hatred came an entire decade apart. In April 1980, the Iranians had tried and failed to kill Aziz through their Iraqi proxies in the al-Dawaa Party (which was later headed by none other than Nuri al-Malki himself). The assassination, among other things, triggered the horrific Iran-Iraq war that September. Speaking the views of his boss, he had nothing but spite for Iran and the mullahs who came to power after 1979. Between 1974 and 1977, Tarek Aziz served as a member of the Baath Party’s Regional Command. In 1977, Saddam appointed him to the powerful Revolutionary Command Council (RCC). Between 1983 and 1991 he was Foreign Minister and until the US occupation of 2003, Deputy to Prime Minister (and President) Saddam Hussein. Tarek Aziz was born in the Christian town of Tel Keppe in northern Iraq in April 1936. He studied English at Baghdad University and started his career as a journalist. Aziz was a member of the Chaldean Catholic Church and close to the Baath Party’s Christian founder Michel Aflaq, who took refuge in Iraq from 1968 until his own death in Baghdad in the summer of 1989. Aflaq, like Aziz, was demonized for being Christian, this time, by Iranian media, pushing Saddam to claim that he had converted to Islam prior to his death. For security reasons, Saddam rarely left Iraq, often delegating Aziz to deputize on his behalf at Arab Summits. Those writing about Aziz’s death claim that he introduced Saddam to the outside world. A better look shows that he actually introduced the outside world to Saddam. He was a cosmopolitan, cultured, well-dressed and well-groomed statesman, who learned plenty from his frequent travels. The cigar-chomping diplomat briefed Saddam in international affairs, explained how presidential elections took place in the United States, and talked to him about the Internet as a modern tool of communication. Tarek Aziz surrendered to the Americans in April 2003. The last foreign leader to meet Aziz in-office was Pope John Paul II that February. Because of his wide network of friends, he probably imagined that the Americans would set him free. He certainly did not expect such a humiliating end, and if he did, he certainly would have fled to any Arab country willing to receive him, or perhaps to Russia. He might have even turned to the underground like Saddam and his colleague, Izzat al-Douri. He sincerely believed that he had committed no wrong, had personally killed nobody in his life, and that there was no legal basis for his arrest. He was tried for the 1992 execution of 42 merchants and of relocating a large number of Kurds at the orders of Saddam. 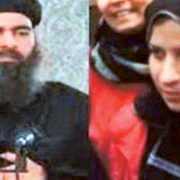 When an Iraqi High Court sentenced him to death, public outcry was heard from the Vatican, the European Union, and Moscow. Iraqi bishops were furious, and in November 2010 then-President Jalal Talbani refused to sign off the execution warrant. Instead, Aziz’s sentence was commuted to life imprisonment. Tarek Aziz remained a Saddam loyalist until curtain fall. In court, he described him as a “lifelong comrade,” claiming that Saddam was not guilty of mass murder, but only of punishing those who had tried to kill him. In his memoirs, James Baker recalls that he first met Tarek Aziz in October 1989. “I remember being impressed by Aziz,” he wrote, describing him as an “urbane, cosmopolitan man.” Baker adds, “he was in fact a latter-day Ribbentrop.” He of course was making reference to Joachim von Ribbentrop, the well-traveled and cultured businessman turned foreign minister of Nazi Germany during World War II. Ribbentrop had the Fuhrer’s ear, just like Aziz did with Saddam, and shined among a clique of brutal demagogues. Both he and Aziz had more knowledge of the outside world than any of their colleagues in Berlin and Baghdad. Ribbentrop was executed at Nuremberg; Aziz left to die at an Iraqi hospital at the age of 79 on 5 June 2015. Iraqi authorities, who completely ignored him on his deathbed and final hour, should take a long hard look at the missed opportunity they had in Tarek Aziz. All of them, after all, are Iran-created puppets who never forgave the man for every word uttered against Iran in the 1980s. The man is now even being denied proper burial in his home country. He will be buried in nearby Jordan, whose government gave his family Jordanian nationality back in 2009. A living Tarek Aziz, working with the current government on counter-terrorism, would have been much better than one clamped in chains or lifeless in a wooden casket. He was an experienced politician with talent and character—he would have wonders for the post-2003 rulers of Baghdad, had they had the good sense of setting him free. Tarek Aziz knew the Iraqi underground well, and so did many of his colleagues who grew their beards and defected to join al-Qaeda after 2003. Tarek Aziz—a staunch secular Baathist—would have never worked with al-Qaeda, despite his hatred for the post-Saddam rulers of Baghdad. It is no secret that ISIL’s top command is composed of ex-Iraqi Baathists. 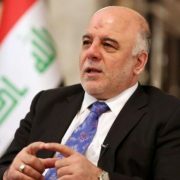 Most hailed from Sunni families who formed the backbone of the Iraqi Army and the Baath Party. They knew where weapons, ammunition—and money—were stored. This is how they obtained brand new AKM assault rifles, PK machine guns, RPG-7s, Stingers, and surface-to-air missiles. They knew where the keys to Iraqi prisons were hidden, and have systematically freed dozens of ex-officers held in jail. In July 2013 alone, the ex-Baathists were able to release 500 prisoners from the Abu Ghraib Prison. Automatically, these released prisoners joined ISIL. 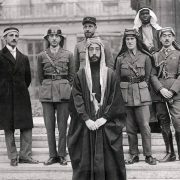 Additionally, these ex-Baathists were experienced soldiers well trained in war, communications, discipline, and siege. Saddam had trained them to fight off either an Iranian invasion or a new Shiite uprising. An entire underground was charted for Saddam officers, which all of them knew and made use of after Saddam’s fall. Saddamis working with ISIL today also know how to obey a chain of command, how to fight, and when to retreat in battle, in order to minimize losses in arms and human lives. Had Iraqi officialdom invested in Tarek Aziz after 2003 and not pursued de-Baathification so aggressively, then perhaps, the results of their war against ISIL would not have been so devastating. A pivotal figure like Aziz, although having no military experience himself, would certainly have helped mend broken fences and provided valuable intelligence information vital in counter-terrorism. He certainly would have helped limit the amount of defections into ISIL, or at least, helped Baghdad track down former Saddamis now working in the Islamic underground. That of course, is now only wishful thinking. Tarek Aziz is gone and so are all senior Iraqi officials who might had served as an effective bridge between pre-2003 and post-Saddam Iraq.